The wickedest, most wonderful science-fiction story ever created in our - or any - time. Anything can begin at a party in California - and everything does in this bold masterwork by a grand master of science fiction. When four supremely sensual and unspeakably cerebral humans - two male, two female - find themselves under attack from aliens who want their awesome quantum breakthrough, they take to the skies - and zoom into the cosmos on a rocket roller-coaster ride of adventure, danger, ecstasy, and peril. 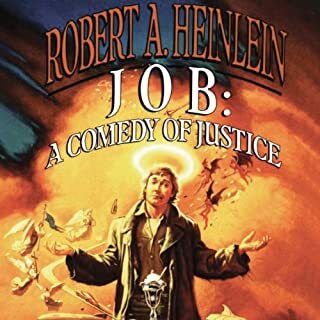 Robert A. Heinlein (1907–1988) was the dominant science-fiction writer of the modern era, a writer whose influence on the field was immense. He won science fiction's Hugo Award for best novel four times. ©1980 Robert A. Heinlein. 2003 by the Robert A. 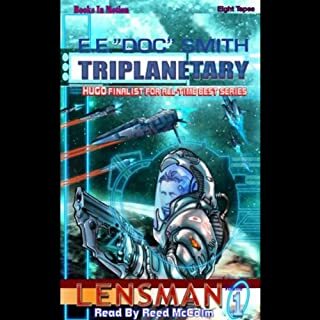 & Virginia Heinlein Prize Trust (P)2012 Blackstone Audio, Inc. I would have waited even longer to have better narration. 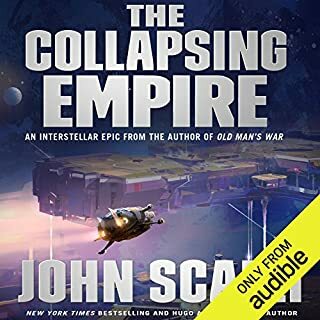 I'm two hours into the audiobook. I'm forcing myself to continue on, because I haven't experienced this story since my paperback copy went missing back in the early 90s. I don't mind ensemble readings. The Godfather was quite enjoyable. But this... I don't know if I'll finish it. I like Bernadette Dunn, usually. I don't care much for her reading of Hilda, but in my opinion, her performance is the best of the group. Deety's narrator makes her sound utterly immature and annoying. Her intelligently-written character becomes whiny and annoying. Zeb is read like he is a doddering old man. Jake's character performance is not memorable either way. I love this book - BUT I really recommend waiting until they delete the passages narrated by Emily Durante. I'm so sorry to say it - but her segments are so terribly awful that I have to skip them. It is NO FUN listening with my hand on the button to "Scram" when I hear that voice. It interrupts the flow of the book - abruptly break the mood. It distracts me with thoughts like "nepotism, training wheels" and "at my expense". There is at least one passage where she is actually inoffensive. Thank Goodness I know the book so well. So I just imagine through those parts. We who purchased it should get a credit for the corrected version with Ms. Durante excised and replaced by...Ms. Dunne for example. It pains me to say that of someone's narration - but it pains me to listen to Ms. Durante. For those who've read the other Lazarus Long novels and stories - this entire book is memorable and rather important. Like me, readers may have been waiting for its audio format. I call it Hands-Free reading. It is a torturous shame that they allowed one poor narrator to ruin the overall experience. As may be...the book and the other narrators are all such a pleasure! What other book might you compare The Number of the Beast to and why? 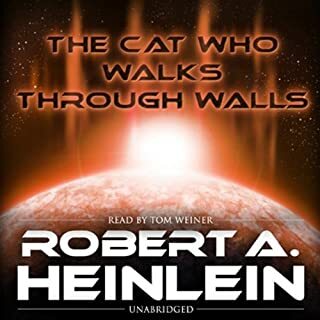 I compare it to...other Heinlein books, especially the Future History works: The Cat Who Walked Through Walls...Time Enough For Love... pick one and insert title here. Why? 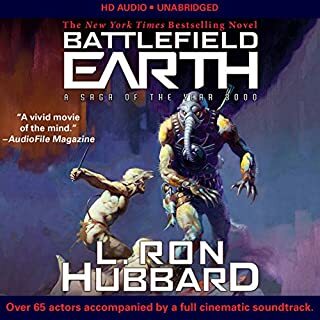 Because they are part of a larger opus, their elements: content, tone, narration/listening experiences, make comparison to this nearly automatic for me. I might listen to Mark Twain, and other books with a cool, scratchy, country/Southern US twang, by Mr. Runnette; perhaps very short children's books by Ms. Durante, after she's trained up; and Anything by the other Narrators. Do you think The Number of the Beast needs a follow-up book? Why or why not? YES!!! A REVISED, CORRECTED VERSION as described above!!! YES!! Follow-up with an APOLOGY! And...Yes - the rest of the Future History Books - and Short Stories. Wake up RAH - rejuvenate him and give him a stiff infusion of modernity and set him back to joyful work!! 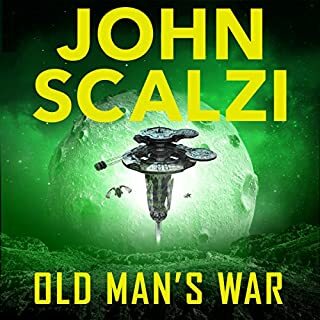 USE NARRATORS THOUGHTFULLY - Example: If Zeb is clearly described to have a deep, resonant voice - don't use the one male talent with the higher-pitched, cool, yet scratchy/twangy, elder sound to voice him. It's not fair to them or to the text. Heinlein's books are Smart - even with his certain "off" views and socio-sexual anachronisms. But they are ultimately smart as all h=ll - and that makes the not-smart choice of any narrator even more off-putting. I truly hope it will be amended. 1) had each of the actors do their own dialogue in all chapters, and have the actor whose perspective the chapter was do all of the non dialogue. 2) just had one person narrate the entire book. While the male voices were fine, the female voices often came across as overly ditzy or sexual, which detracted from the book as a whole. Would you listen to The Number of the Beast again? Why? 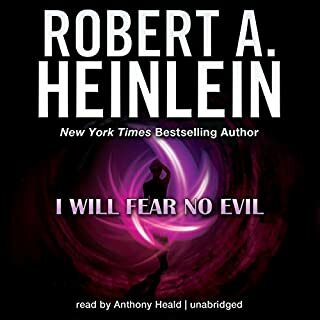 Although I will probably listen to this again, as I usually listen to my Heinlein often, it won't be any time soon. Having four narrators was probably the best way to present the four different viewpoints, but the narrator for DeeTee sounded too much like a little girl and didn't pull off the male voices as well as the other female narrator. 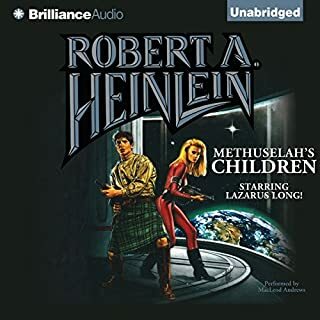 The performance is interesting, with the round-robin of narrators reading the chapters as told from the various characters' points of view, and the narrators do very good jobs, but it's ultimately Heinlein himself who lets us down. The concept of the story is good, but the story itself is just a hot mess. 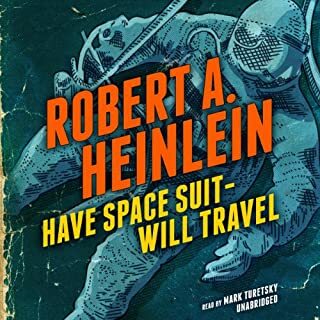 Jerry Pournelle once said that Heinlein's biggest problem was that he became too big to edit, and this story is proof of that statement. What did you love best about The Number of the Beast? 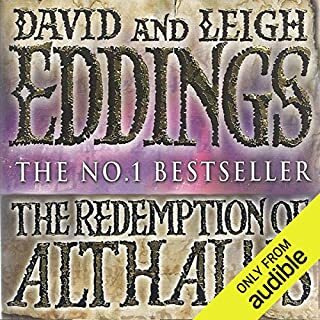 I read this book years ago and thoroughly enjoyed listening to this excellent production. I had forgotten how confusing the story could be at times but the cast did a fantastic job and I really enjoyed listening to it. I am not sure who my favorite character is because they were all portrayed so well. No, though I did listen to it over a few days. What made the experience of listening to The Number of the Beast the most enjoyable? The sory in this book besides a homage to the authors of the golden age of SF & F is the ultimate multiverse story. The two following novels form RAH "The cat who walks through walls" which also has the prerequisite of "The Moon is a harsh mistress" the novel "to sail beyond the sunset" is also based on the result of this book. A must listen for Hienlien fans. It's fun to spend more time with the Longs. The book is fun but doesn't really get cooking until after part 2 and the start of part 3. I enjoyed the story but felt it ended a little bit too abruptly. Give it a shot! Don't have many friends and of them I am the only Sci Fi buff. They are more interested in fantasy like shape shifters and Vamps. Stranger in a Strange Land comes to mind. Great character developement. Could have stretched the ending out a bit more. Heinlein brought together many of his heroes from other stories that could have gone on longer to develop relationships between characters. Narrator didn't skip over words like I am prone to. I didn't laugh or cry, but I thoroughly enjoyed it and will again. 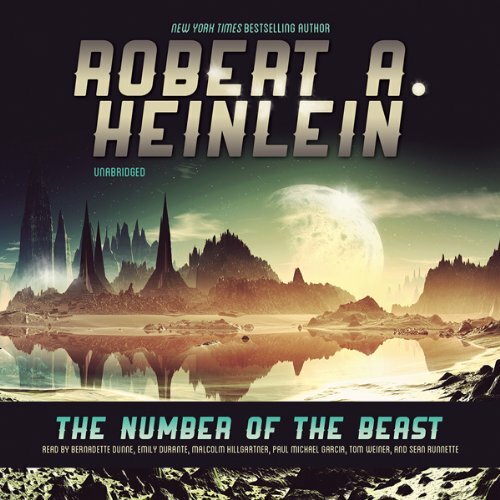 Would you consider the audio edition of The Number of the Beast to be better than the print version? 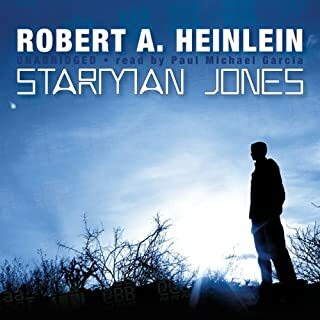 If you’ve listened to books by Robert A. Heinlein before, how does this one compare? doing this as separate narrators per person fitted the book exactly and it ran very smoothly. very well done. mainly irritation at all the wrangling about who was "Captain"
I have had this book in my to listen to pile for a fair while but was a bit nervous about playing it mainly because I did not want to be disappointed as I had re-read the book and found it very hard going. Not to worry ~ I thoroughly enjoyed it (mostly) but all 4 could have done with a good slap at times. 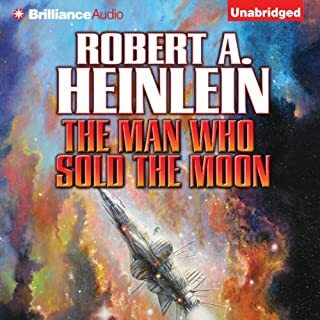 One of Heinlein's most difficult reads! 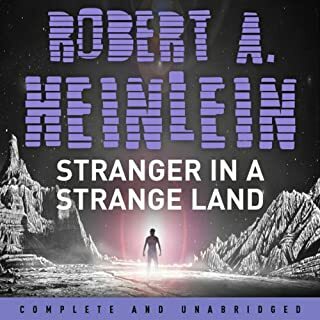 Fortunately this is not typical of Heinlein's work! It is an attempt to examine fiction as history, unfortunately the plot and characters decend into gibberish, with the thread of the book disapearing. 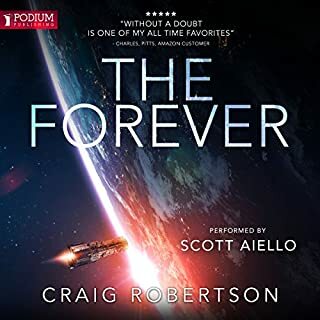 I would avoid this book and look at Time Enough for Love, I will fear no Evil, A Stranger in a Strange Land, Friday or Starship Troopers which bettyer represent this very gifted Sci-Fi author. This is definately for Fans only! What did you like best about The Number of the Beast? What did you like least? This book has some really good use of language, discussions of theories and I loved how the story switched between characters. I found the narrators ok but not amazing. This is normally enough for me to love a story but I found the whole thing a struggle. It felt long, slow and the only reason I stuck with it until the end was out of some reverence to the author and the hope that it would get much better. The early parts of the book (earth and mars) were really good but anything after chapter 38 became a chore. I really cannot put my finger on what might have been my least favorite parts I am guessing its just the book wasn’t a good fit for me. As a result of haven’t given the story as a whole a low score. What was one of the most memorable moments of The Number of the Beast? The best part of the book would have to be the whole mars British vs Russian thing. I would this part of the book the most enthralling. The characters where great and the way the plot worked really kept me going. the narrators were good and worked well together, some of the males performance seemed to be a bit lacking in enthusiasm from time to time and didn’t always fit the mood of the story. Could you see The Number of the Beast being made into a movie or a TV series? Who would the stars be? this book has made me down load john carter of earth and given me a list of other books to down load. all of which were mentioned in this book. i hope once i have listened to or read these that i will return to the number of the beast and find it more enjoyable. 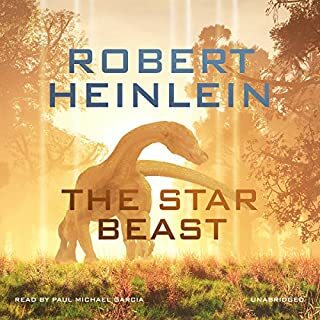 Being a science fiction fan, I thought I had better check out some Heinlein as the author seems to be highly regarded and often mentioned in the same breath as the the great Asimov. For the first couple of hours I thought I must have made a mistake and downloaded the wrong book! Quite simply this is book is unbelievably bad. The plot, on paper, sounds promising, travel to different dimensions/parallel universes in a home made time machine while being pursued by aliens - all classic sci-fi stuff. However the plot is virtually irrelevant because 90% of the book (not an exaggeration) consists of banal bickering and discussions about trivia between the main characters. The characters (and the author) seem only to have the vaguest passing interest in the plot. For example the characters arrive on an apparently inhabited Mars in a parallel universe. What's the first thing they do? Explore? Express wonder at their location? No, they have an incredibly long and tedious discussion about sleeping arrangements, how best to program the ships computer, bicker endlessly about the chain of command and even arrangements for going to the toilet! I won't even mention the dodgy science and the frankly embarrassing (for a sci-fi author) lack of understanding of the capabilities of computers (it's as if this book was written in 1930 not 1980!). The female characters are completely unbelievable and seem to have been created to fulfil the authors adolescent fantasies. Speaking of which the whole book reads like it was written by a 14 year old boy, except a 14 year old boy would have put more action in it! I can't image how frustrating it must be to read because after half an hour I wanted to slap all the main characters. After 2 hours I could cheerfully have throttled the lot of them and the author to prevent him inflicting any more of this on anyone. I understand that this book was apparently written while the author was recovering from a serious illness and that his brain may have been starved of oxygen. That might explain a lot because I can see no other way that a supposedly celebrated author could spew out this tripe. I've enjoyed many of RAHs stories, and so was greatly disappointed not to enjoy this one. I found the plot disjointed, and the storytelling swinging from rushed to tedious and back again. 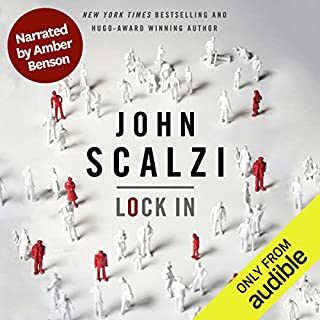 Where does The Number of the Beast rank among all the audiobooks you’ve listened to so far? 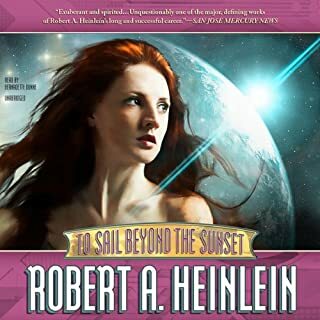 For me it is high up there, BUT I am a mad fan of Robert E Heinlein, and have read it in paperback also. Deety. And the Beast (well his cameo role). And Lazarus Long making his much loved appearance. Its a complex book, and a lot of "dialogue" going around in circles, often arguing about abstract mathematical concepts, or tiny errors of conversation which the characters keep trying to trick each other or point out the other persons mistake... BUT if you know Heinlein, you will get it and love it. 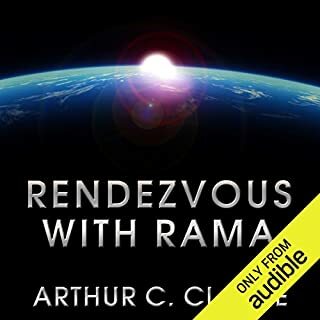 Sci Fi and Heinlein fans will devour it. But if you stumble across it unprepared, you may sink under the pages of mathematical arguments.. I loved it.